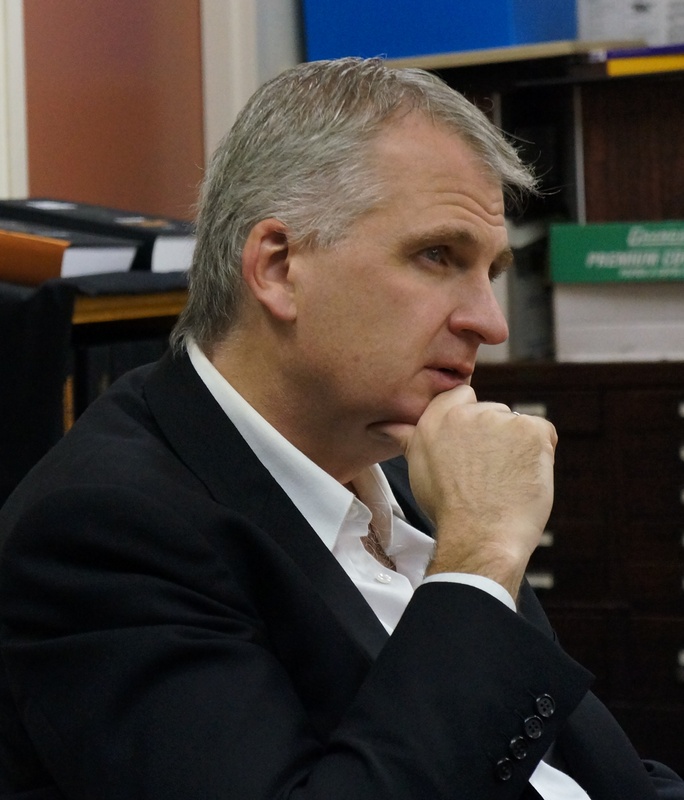 TORONTO – Historian Timothy Snyder delivered the Toronto Annual Ukrainian Famine Lecture to a crowded auditorium at the University of Toronto on November 4. 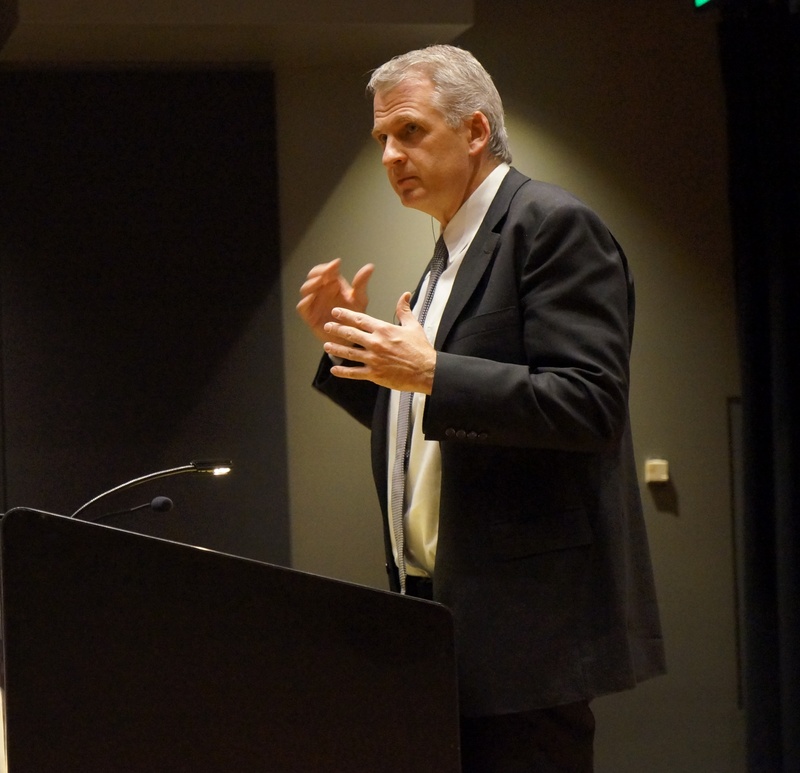 Speaking on the topic “The Ukrainian Famine as World History,” he presented an engaging and thought-provoking lecture that was well received by those in attendance. 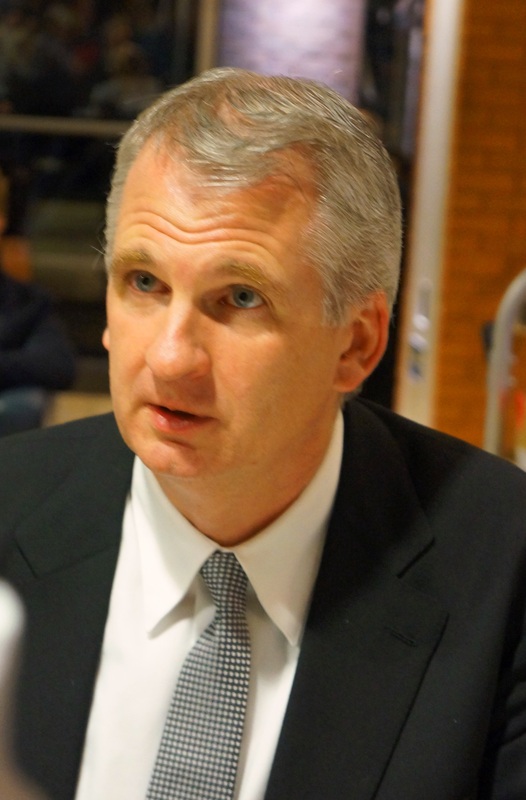 Snyder is the Housum Professor of History at Yale University and the author of nine books, including Bloodlands:Europe between Hitler and Stalin (2010) and, most recently, Black Earth: The Holocaust as History and Warning. The speaker’s major theme was that a proper understanding of theHolodomor, aside from its centrality to Ukrainian experience and Sovietpolitics, provides an opening to a more complete history of Europe. Professor Snyder began by describing how major events in European history “actually make more sense with Ukraine.” He then turned to an examination of the 1930s and the Famine itself. He concluded with remarks about Ukraine and Europe today. 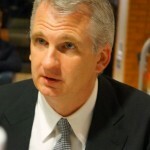 In explaining how European history is made more completeby the inclusion of Ukraine into its broader scheme, Professor Snyder cited the significance of Rusʹ–with its Christian conversion, Scandinavian settlement, the codification of law, and encounters between settled and nomadic societies– as a centre of major developments of the day. Snyder also noted that the Renaissance and Reformation/Counter-Reformation in Ukraine are in many ways more interesting in their complexity than these trends as studied in the history of Western Europe. AsUkraine was absorbed into the Russian realm, direct ties with the rest of Europe diminished. It thus entered the period of “the world’s first globalization”–completed by the mid-nineteenth centuryand marked by imperialism, colonialism, and empires–as one of numerous sites developing national movements. These eventually would lead to a process of decolonization and nation state formation, particularly with the collapse of empires in the wake of the First World War. However, an independent state was not established in Ukraine, notwithstanding a national movement that suffered many casualties in its 1917–1920 effort to establish one. Instead Ukraine was incorporated into the Soviet Union, which sought to remake the world –a revolutionary form of globalization, or a counter-globalization–but in the end fell back on the state model. As Professor Snyder explained, Ukraine then became a battleground in Stalin’s plans to modernize the USSR through a process of “internal colonization” that would draw upon its agricultural resources in order to spur industrial development. Stalin and his inner circle blamed Ukrainians for the failure of collectivization and thus “nationalized” the issue. They then instituted policies, including blacklisting of villages, the closing of the Ukrainian borders, and a ban on travel from the countryside, that led to the deaths of millions of Ukrainians. Hitler took note of the starvation ofacountry that could serve as the world’s breadbasket. He saw the colonization of Ukraine as central to a broader scheme to organize the world along racial lines. His launch of Operation Barbarossa was both a step in the German colonization project and toward eliminating Jews (regarded as standing in the way of the new social order)–both awar of conquest and a war of extermination. Professor Snyderpointed out that theEuropean Union manages to incorporate states that were once part of another nation’s empire along with states that once had colonies. He noted that this union makes the existence of nation states possible.Ukraine’s recent efforts toward European integration are a recognition that a move toward Europe is key to its existence as a nation state. The contemporary Ukraine-Russia conflict can thus be seen as an attempt by Russia to stop the process of Ukraine’s Europeanization, he said. 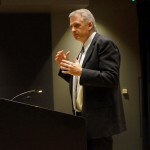 Professor Snyder ended his lecture with a reference to a recent article from the Russian news agency “Sputnik” denying the existence of the Holodomor.He noted that such propagandais not only anti-Ukrainian butalso is aimedto confuse our understanding of European and world history[http://sputniknews.com/politics/20151019/1028730561/holodomor-hoax-invented-hitler-west.html]. In the lively question periodthat followed, Professor Snyder suggested that Russia had not learned from the Soviet collapse (i.e., it was not a transformational event). He noted that because it was a land empire, Russia historically has been confused about where the country ended and the empire began. Professor Snyder posited that Ukraine is ahead of Russia in the formation of a national identity. On the question of potential EU membership, he stated that Ukrainians are not so naive as to believe that joining the EU will solve all of their country’s problems. Rather it is a long-term goal and part of a process. Professor Snydersaid that he believes that in time Ukraine will join the EU because the EU will desire it a member. 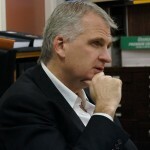 The lecture was organized by the Holodomor Research and Education Consortium (HREC) of the Toronto office of the Canadian Institute of Ukrainian Studies, University of Alberta; the Petro Jacyk Program for the Study of Ukraine (Centre for European, Russian, and Eurasian Studies, University of Toronto); the Canadian Foundation for Ukrainian Studies; the Ukrainian Canadian Congress (Toronto Branch); and the Chair of Ukrainian Studies, University of Toronto.This was the eighteenth Toronto Annual UkrainianFamine Lecture. Past lecturers have included James Mace, Norman Naimark, Alexander Motyl and Anne Applebaum. 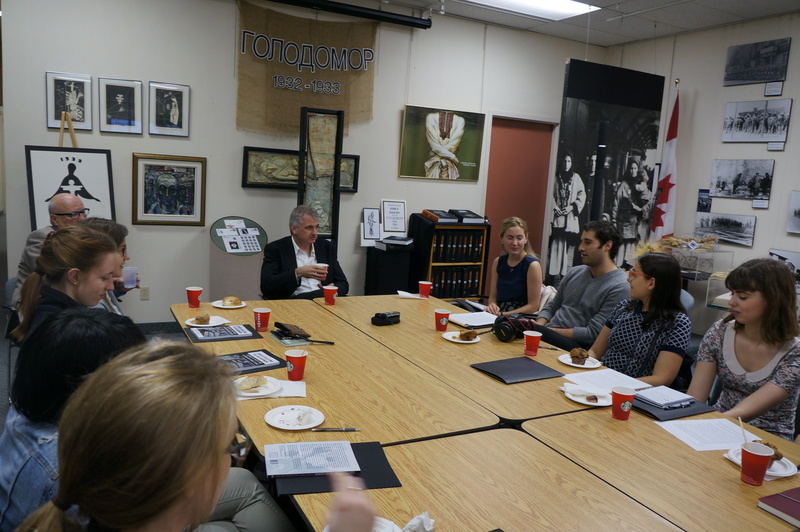 The following day, Professor Snyder and approximately 20 graduate students from the Centre for European, Russian, and Eurasian Studies at the University of Toronto met for a roundtable discussion on a range of historical issues. HREC and the Ukrainian Canadian Research and Documentation Centre at St. Vladimir Institute hosted the event. 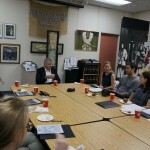 Professor Snyder meeting with graduate students.